Antonio Carrión worked in DIVEDCO and studied at the Galería Campeche since 1961. He has worked for Citibank Bank making drawings for their computer courses from 1964 through 1968. In DIVEDCO, he worked as a Silk Screen technician printing posters. He was also in charge of many drawing projects. 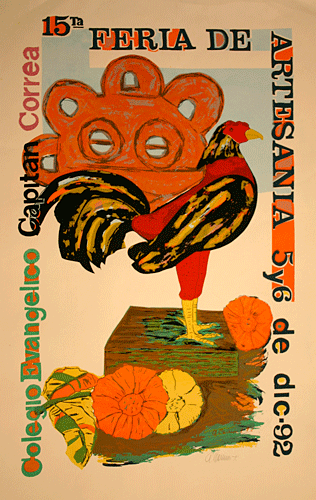 Of the 316 posters in the collection, 3 are by Antonio Carrión.